Over the past decade, many changes as set a new standard in web design. Effective web design is judged by the visitor and not the website owners. In order to make an everlasting impression on a customer, website developer needs to build attractive, usable website. Websites that are not well designed tend to perform poorly leads to high bounce rates, low time on site, low pages per visit. So what makes website design for better usability? 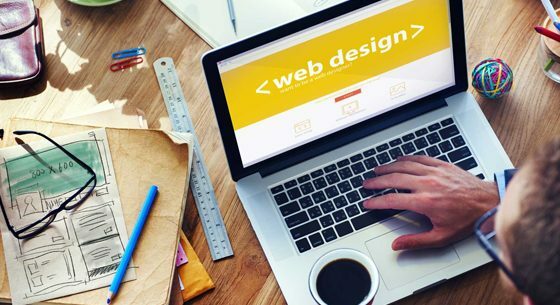 Below, explore key principles of website design for better usability that will make your website more effective and engaging. Usability means user-centered design. Both the development and design process are focussed to meet customer goals, mental models, and requirements. And to build products that are comfortable and easy to use. According to ComScore, tablet internet consumption grew 78% during the 2014 -2016 period. In order to provide a truly great visitor experience. A web site needs to be compatible with the different operating systems, devices and browsers that your user are using. Another important feature in website for better usability is, should be highly flexible like responsive design. With a responsive site, content is significantly resized and remodeled to fit the dimensions of the visitor’s device. The look and feel of the website, plays a crucial role in popularity of the website, but unnecessary design elements can ruin a website. Most visitors come to the website to complete or to find some specific piece of information or service. Adding unnecessary design elements to a website can make though for visitors to accomplish what they’re trying to perform. Including navigation on a website plays an important role in ensuring visitors to find what they’re Ideally looking for. The few important tips for optimizing site’s navigation is to Keep the structure of primary navigation simple, Include navigation in the footer of the site and not to offer too many navigation options on a page etc. The overall look and feel of site should be consistent across all of the site’s pages. The Backgrounds typefaces, color schemes, and even the tone of content in the areas required have a positive impact on usability and UX of the website. The key principles of website design for better usability is the website should be mobile friendly. The websites should be able to be accessed by multiple devices with multiple screen sizes. If a website is not mobile friendly, web developer can either rebuild it in a responsive layout or can build a dedicated mobile site. If you are planning or looking to redesign or design your website right from the ground level.Than, Omkarsoft is a web development company in Bangalore, can help you in building a website which is engaging, useful, and memorable for visitors.